Glass Dining Table, Glasstop Occassional Tables And Garage! 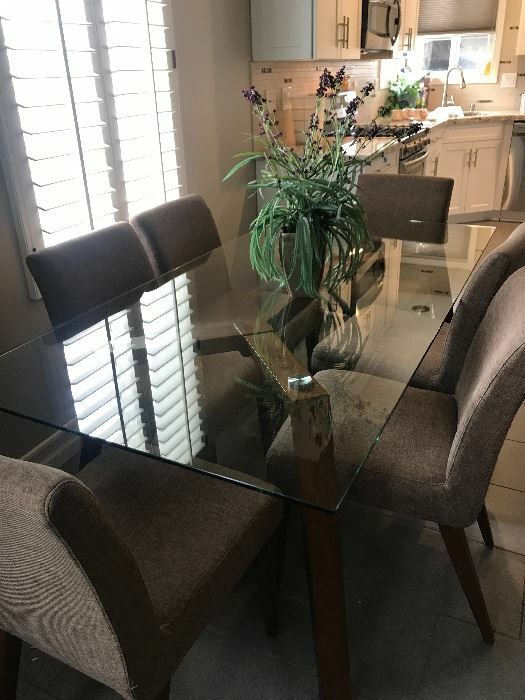 Beautiful Glass Dining Table and Chairs. Glasstop Occassional Tables. Queen Size Contemporary Style Headboard. 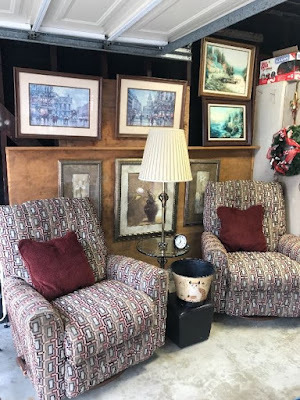 Lazy Boy Recliners. Table Lamps. Christmas Decorations. Holiday Decorations. Kitchen Dishes. Eclectic Items in the Garage. Pair of Arge Potted Plants. Refrigerator. Storage bench. Wood Ladder. 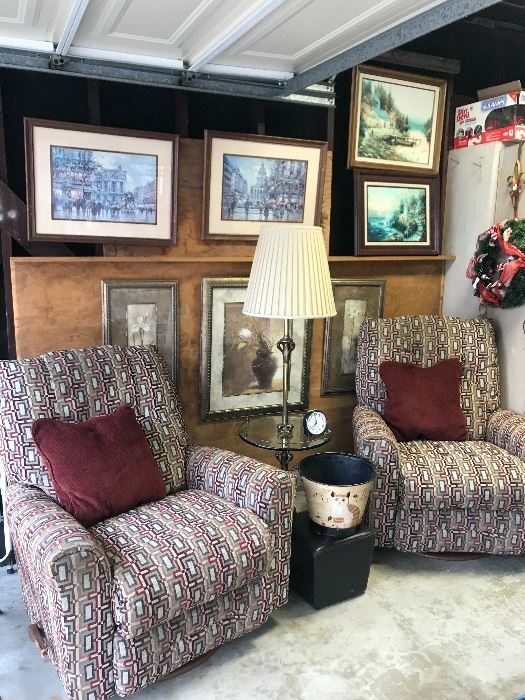 Four Nice Bar Stools. Iron Patio Tables. Clothing. Washer/Dryer and More! 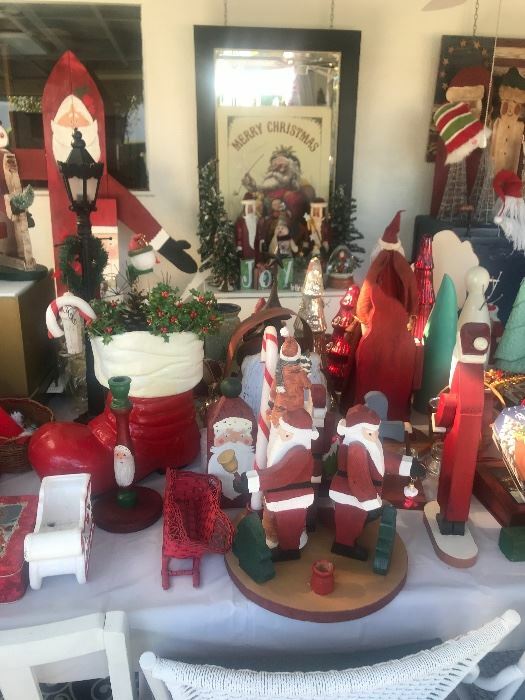 Come check out the last sale of the year! Thanks for all the support! Packed House, Christmas, Antiques, Tools And Garden Decor! Wonderful Selection of Country Antiques, Furniture and a Packed Garage! 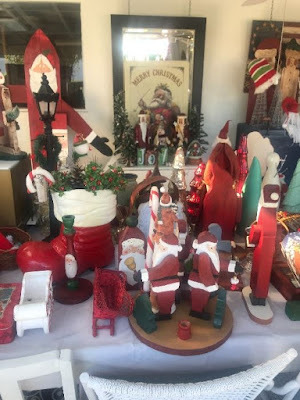 Just in the “nick of time,” Huge Selection of Christmas! Ornaments. Large Christmas Trees. 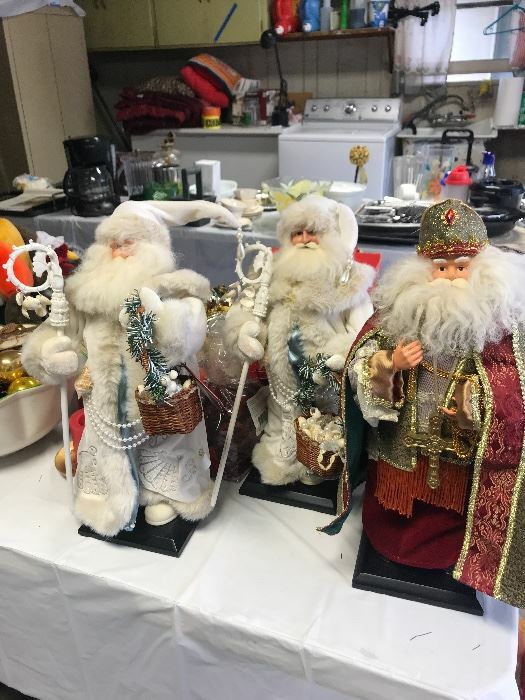 Lovely Selection of Christmas Decorations! 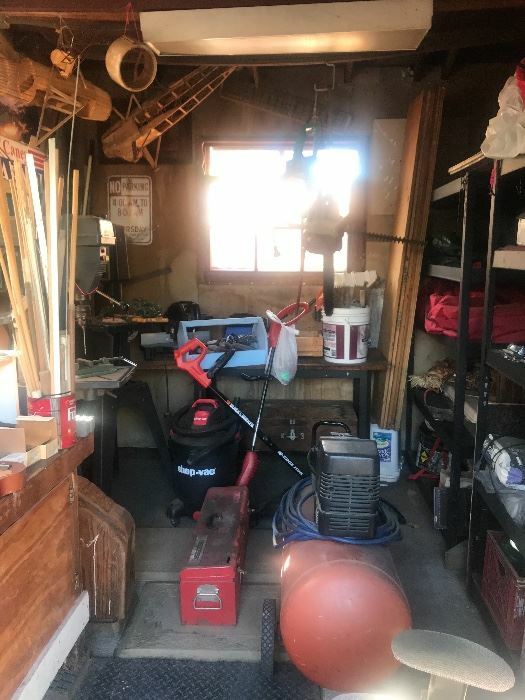 “She-Shed” is Filled with Arts and Craft Supplies. Baskets. “Pro-Forma Treadmill (get ahead of the New Year) Large Potted Plants. Statuary. White Washed Armoire. Wood Dressers. Library File. Mannequin. Country Style Dressers. Nice Variety of Rattan Chairs with Cushions. Two Small Blue Sofas. Wood Trunks. 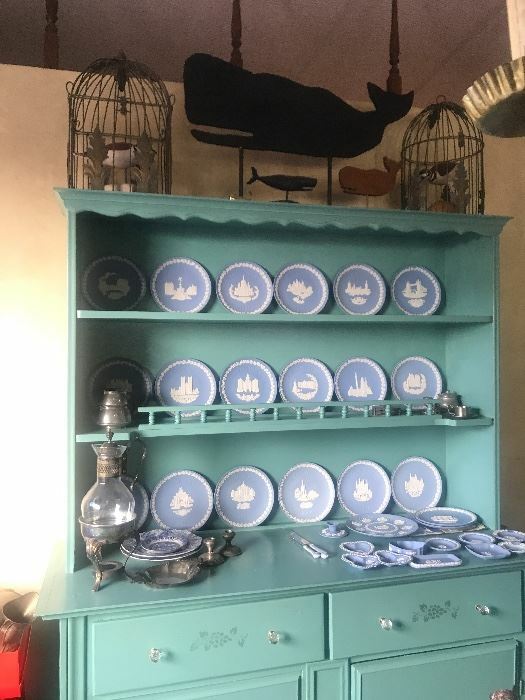 Turquoise Hutch. Carved Ducks. Wood Carved Ducks. Jasper ware. Antique Ceramic Crockery. Antique Singer Treadle Sewing Machine. Metal Birdcages. Wood Bird Houses. Pewter. Silverplate. Rooster Plates with Holder. Banana Leaf Chair. Empire Style Glass Cabinet. Office Desk. Books. Motorcycle Stuff. Drill Press. 5hp Air Compressor. Shop-Vac. Garden Tools. Stoneware. Glassware. Storage Cabinets. Men’s T-shirts. Four Metal Chairs. White Decorative Patio Table And Chairs. Wagon. Pampered Chef Bakeware. Metal Windmill. Metal Water Pump. Framed Artwork. Large Selection of Drought Tolerant Plants. Large Patio Umbrellas. Lots and Lots of Great Stuff! Come out to the sale! Thanks!